Little Man isn’t really old enough to participate in the Elf on a Shelf craze that seems to be sweeping the world. For those who don’t know, the idea behind the Elf on a Shelf is a small toy elf moves around your house in the days leading up to Christmas. The elf reports back to Santa about how you are behaving (so you better be good!). Sometimes, the elf is in creative and fun places for the kids to find. This bothers me. I could spend a whole post telling you ALL the reasons I don’t like this, but I’ll instead refer you to The Imagination Tree where Anna has done it so much better. In addition, she has the wonderful idea of the Kindness Elves. Now, here’s an idea I can get behind! 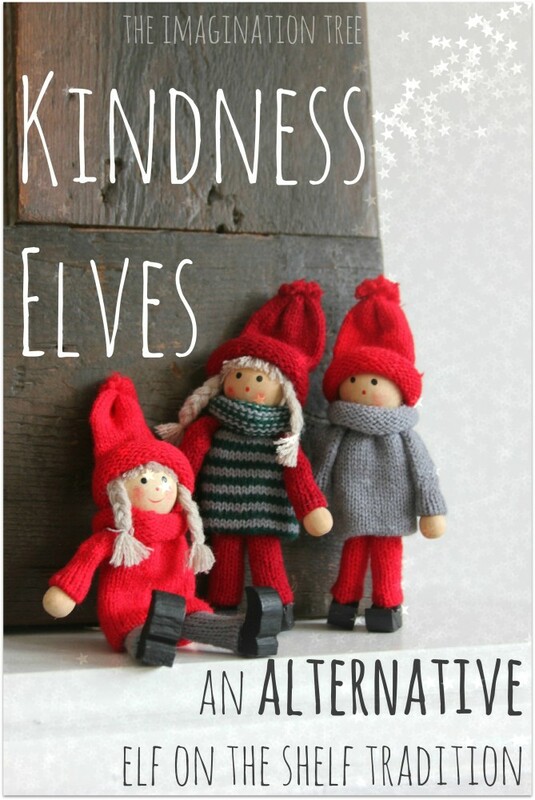 These elves are so much cuter and have a focus on doing good things for others (which, really, is why we give presents and what the Christmas season is all about).